Mimusops elengi L. belonging to the Sapotaceae family is used in various folk systems of medicine in South and Southeast Asia. This study aims to identify the potential constituents responsible for anticancer activity of M. elengi flowers. The EtOAc fraction of M. elengi flowers methanolic extract possessed cytotoxicity and gave an intensive apoptotic response on human leukemia HL-60 cells. 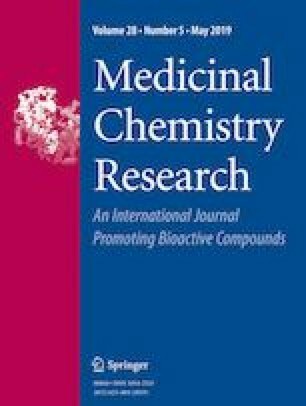 A new dipeptide N2-methylaurantiamide acetate was isolated from the fraction along with two peptide derivatives and four phenolic compounds. Among the peptide constituents, N2-methylaurantiamide acetate showed significant inhibition of cell proliferation and possible induction of apoptotic cell death. Molecular docking analysis demonstrated that N2-methylaurantiamide acetate could fit tightly into the BH3-binding groove of anti-apoptotic protein Bcl-2. Our results provide further compelling evidence and enhance the ethnopharmacological value of M. elengi. The authors are grateful to the Ministry of Research, Technology and Higher Education of the Republic of Indonesia (PMDSU scholarship). Our thanks are due to Ms. Natsumi Suematsu, Ms. Yukari Ono, and Mr. Daiki Kaneko for their fruitful assistance.